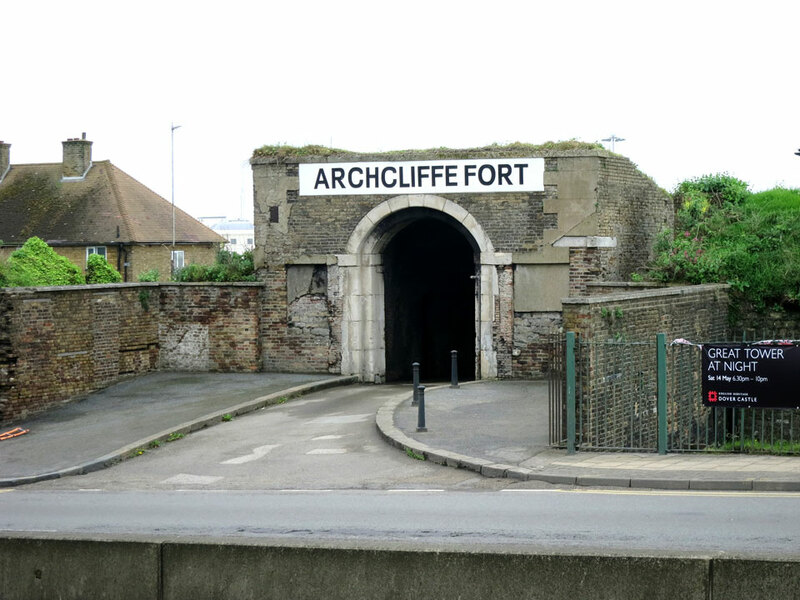 On the seafront below Western Heights is Archcliffe Fort dating from 1539. 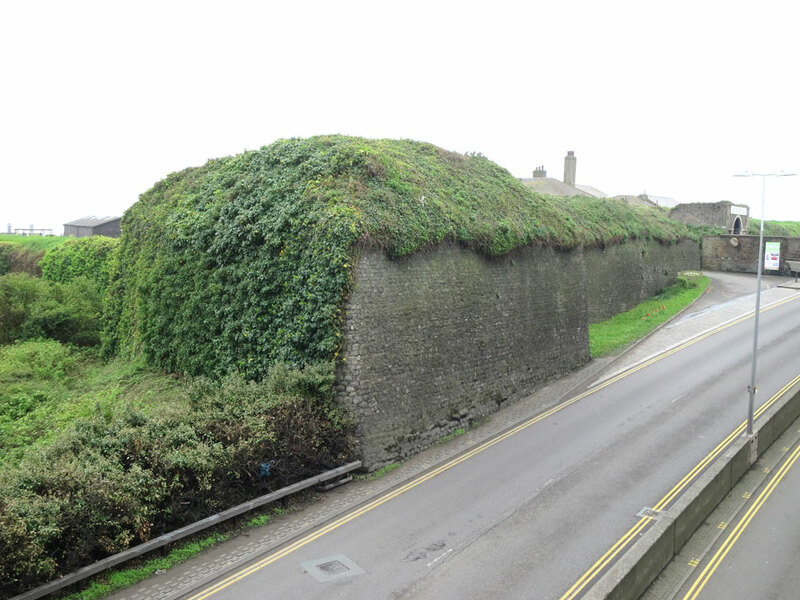 It was rebuilt during the 17th and 18th centuries, and by the 1870's it was armed with five 10 inch and one 7 inch guns. 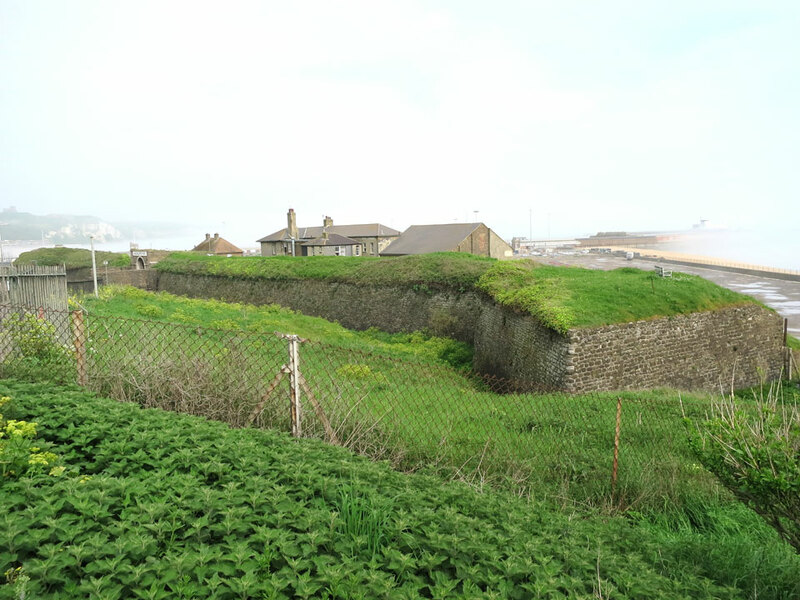 It became less important after the Western Heights defences were fully in place and in the 1920's the southern half of the fort was demolished to make way for a railway line. 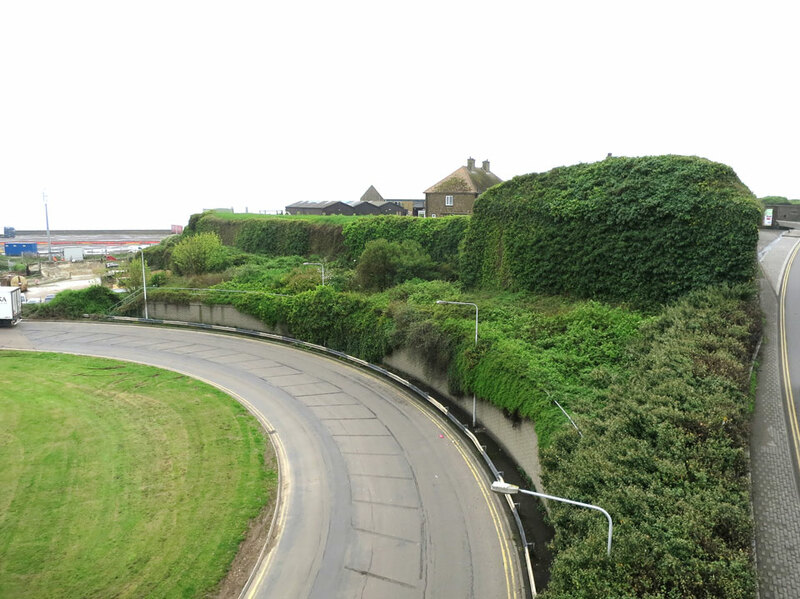 It was decommisioned in 1956 and part of the front of it was removed to widen the A20. It is now used as workshops. 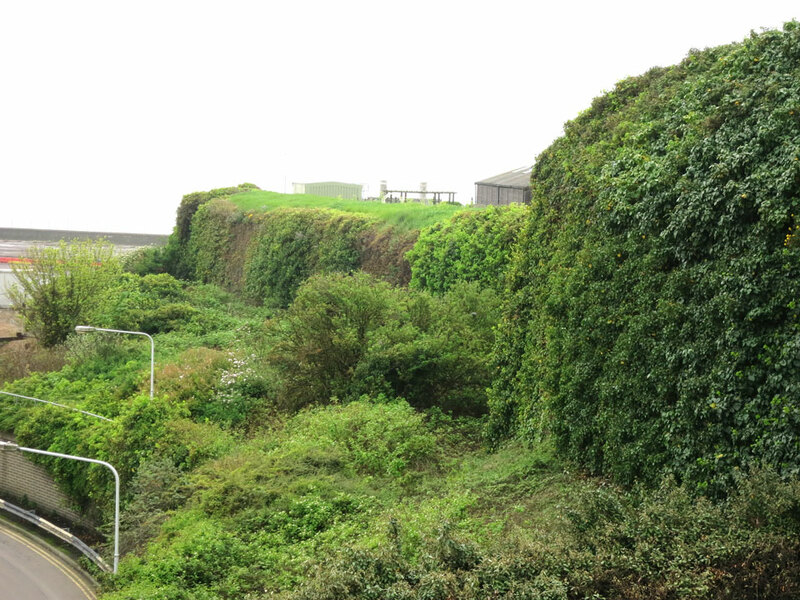 By the A20 on the western approach to Dover.